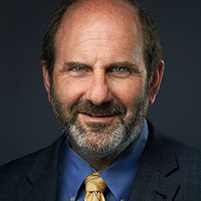 Barry Frank is of counsel to the Oxfeld Cohen firm. Mr. Frank has been a member of the New Jersey Bar since 1983 and the New York Bar since 1984. Mr. Frank’s practice is concentrated in Workers’ Compensation, where he is recognized throughout the State of New Jersey for his many years of experience and successful results for his clients. Write to Barry Frank at bfrank@oxfeldcohen.com with any matter or question you may have concerning Workers’ Compensation or Social Security Disability.